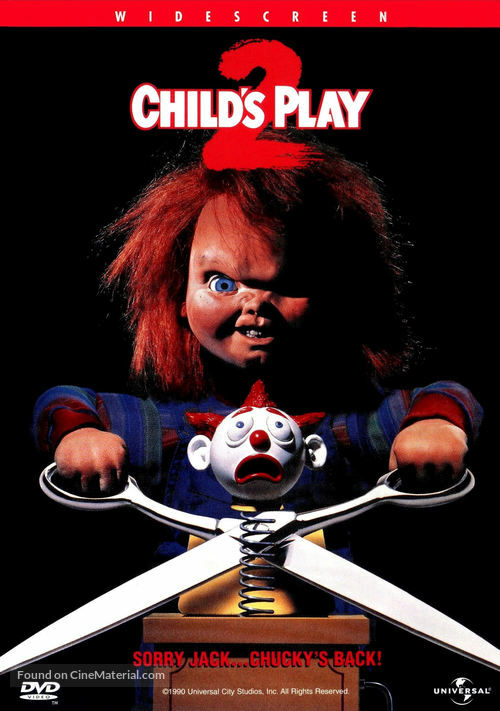 Two years after serial killer Charles Lee Ray (Brad Dourif) inserted his soul into a Chucky doll, a toy company attempts to re-create the doll, bringing Ray back in the process. The possessed doll, intent on claiming a human body, kills his way toward former owner Andy (Alex Vincent), who now lives in a foster home. Andy's foster sister, Kyle (Christine Elise), tries to protect him, but his foster parents believe Andy is just a troubled kid -- and Chucky's murderous path continues. This is in my top 3 fave Chucky film. Great kills, love Andy, Kyle, & Chucky, and holds up better than most of the series.